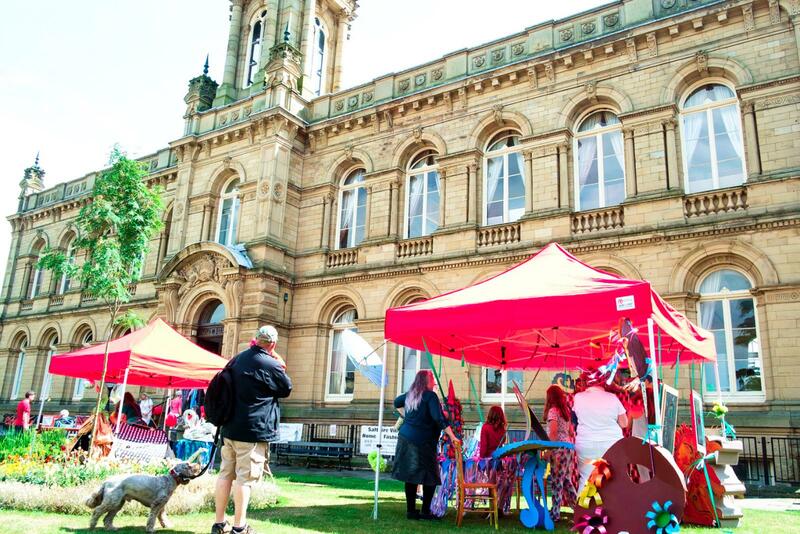 Largely volunteer-led, Saltaire Inspired creates exhibitions and projects within the World Heritage Site of Saltaire village, responding to Bradford’s cultural heritage and strengths. 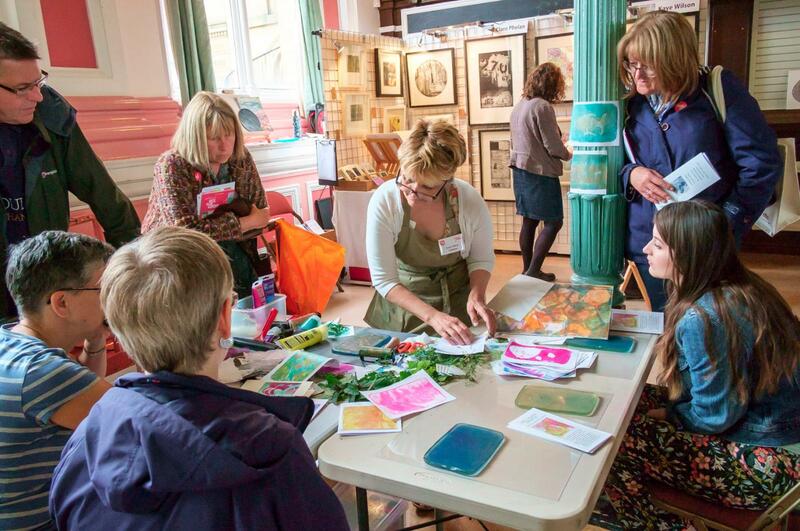 We promote and develop artists and their practice, showcase and sell high-quality contemporary craft and design, engage and inspire the local community and aim to make visual arts accessible and engaging through the use of private and public buildings. Visit the Saltaire Inspired website to find out more. 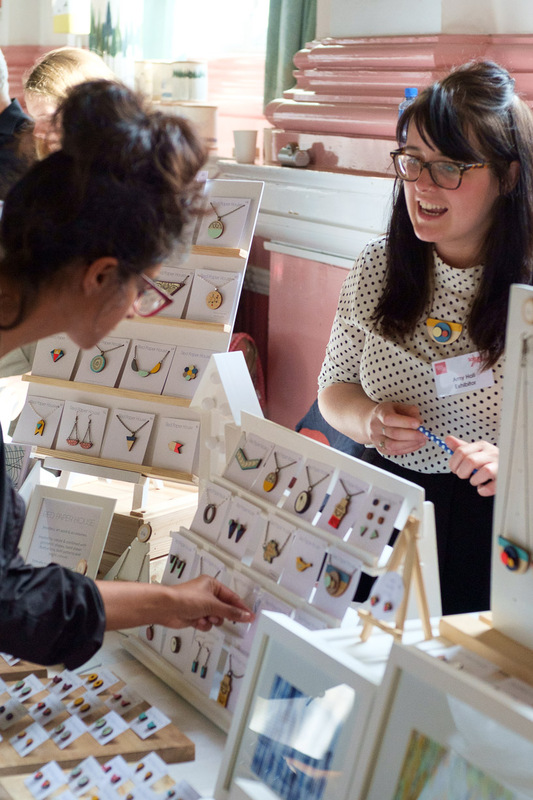 Our Makers Fairs have a growing reputation for providing a showcase for some of the best contemporary craft available for sale or commission in the north of England and, increasingly, further afield. 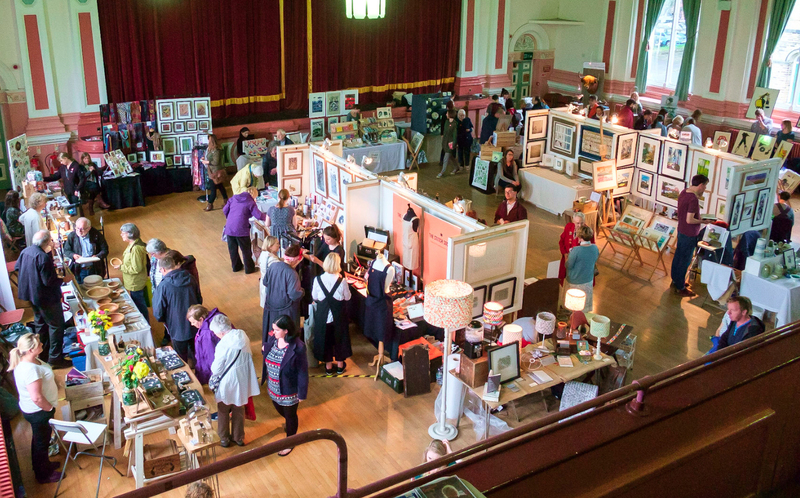 The venue, Victoria Hall in Saltaire, is both attractive and historically unique, a great setting for a contemporary craft fair. We regularly see 1000 - 1500 visitors per day through the doors. The Fair will include artist demonstrations, a popular Art Tombola and there will be a pop-up cafe with delicious sweet and savoury snacks. 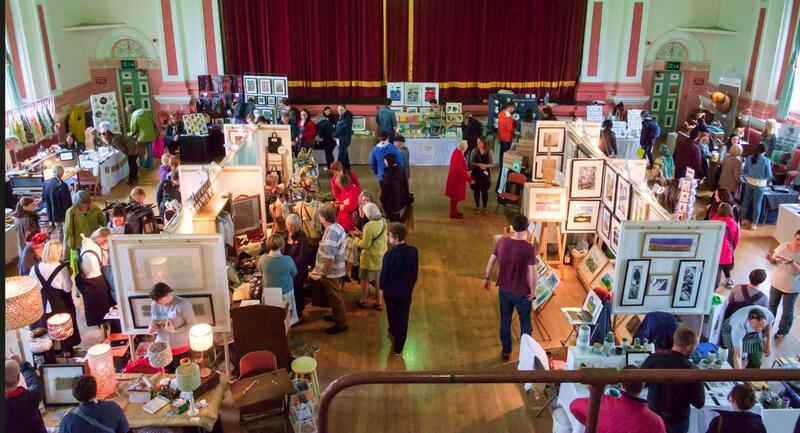 The Saltaire Inspired Makers Fairs take place regularly twice a year - the first during the bank holiday weekend in May as a part of our village-wide Saltaire Arts Trail, and the second usually happens in September to coincide with the opening weekend of the Saltaire Festival. 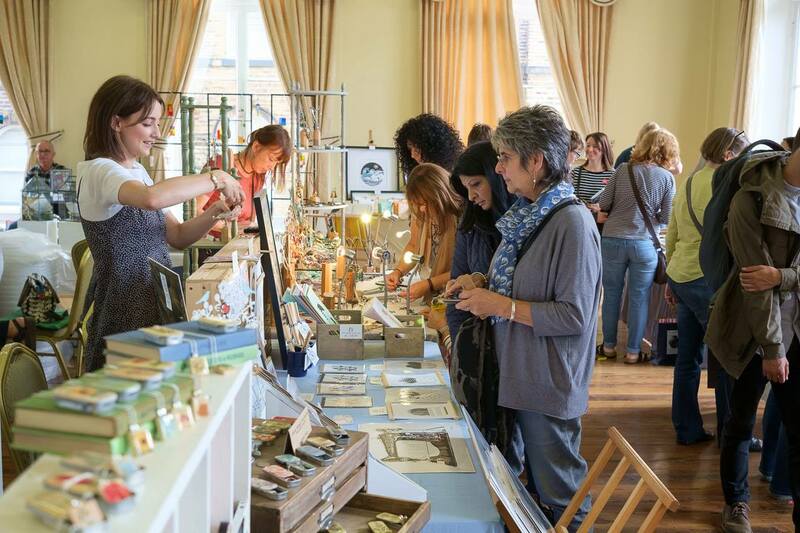 For the first time this year, our usual September event will instead be held in November as our first Winter Makers Fair. We listened to feedback from past visitors and exhibitiors who told us that they would like to see an event held around the Christmas season, and so this year we are very excited to host a very special Makers Fair which will be filled with seasonal festivities, just at the right time to capture the start of the Christmas buying audiences. "Friendly yet professional feel. 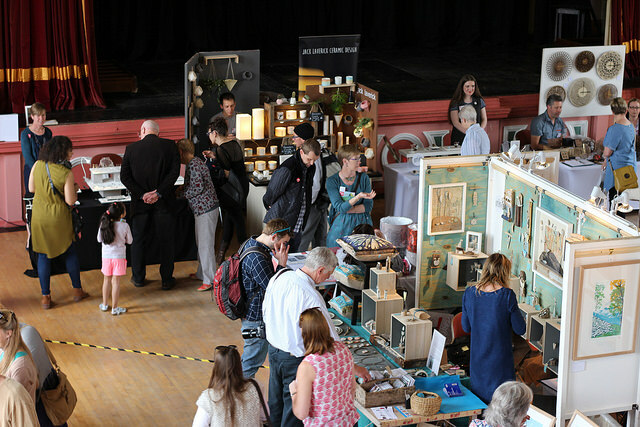 High quality makers"
"Very good footfall with plenty of people willing to buy work"
"Saltaire is wonderful because it brings designer/makers and people who are really interested in art work together in one place"
"Enjoyed the event very much and made to feel special by both organisers and visitors"
We aim to showcase the original work of independent artists, makers and designers. All work must be handmade by the exhibitor themselves and original in concept. We are looking for work that is of gallery quality, contemporary and interesting. We do not accept or promote work constructed from assembled pieces, kit-based items or mass-produced reproductions of works in other media. Limited edition prints must be original. 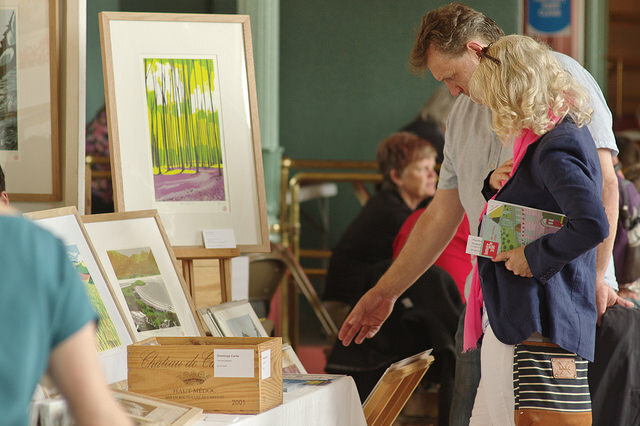 Our Makers Fairs have a specific focus on showcasing handmade and contemporary craft, therefore we are unable to accept applications of traditional Fine Art practices, such as painting and drawing. Returning artists and makers will be expected to exhibit a significant proportion of new work. If you have exhibited with us before, please make sure you include details of proposed new work in your application. An independent panel of arts professionals will make the selection. The 2018 panel will be announced on the Saltaire Inspired website. 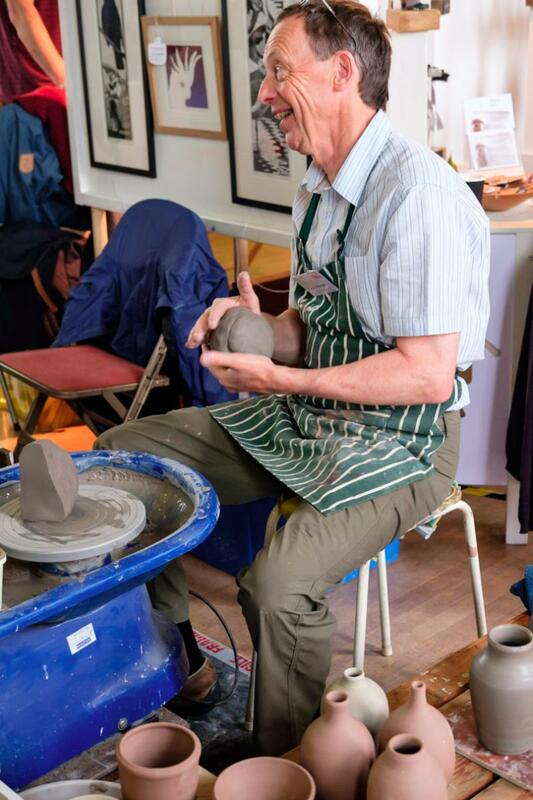 We are able to offer a limited number of spaces to artists wishing to demonstrate their craft. A discount on pitch fees will be offered to those exhibitors selected to run demonstrations that feature an activity for visitors to take part in. See FAQs for details, and include details in your application if you wish to be considered. Make your submission via Curatorspace, remembering to upload between 4 - 10 good quality images. Please ensure that you upload and attach each image individually. A non-refundable administration fee of £5 will be required for all submissions. As a volunteer-led charitable organisation, this helps us to cover the administrational costs of carrying out a fair and unbiased selection process with an independant panel of industry professional judges. Contemporary artists, craftspeople and designer-makers based in the UK. Artist-created work of original concept and excellent quality in the fields of contemporary ceramics & sculpture, textiles, jewellery, glass, metal, artists' books, paper, leather, wood, furniture, plastics, fashion textiles and accessories, printmaking and mixed media - this is not an exclusive list; we are always keen to see interesting use of new materials. 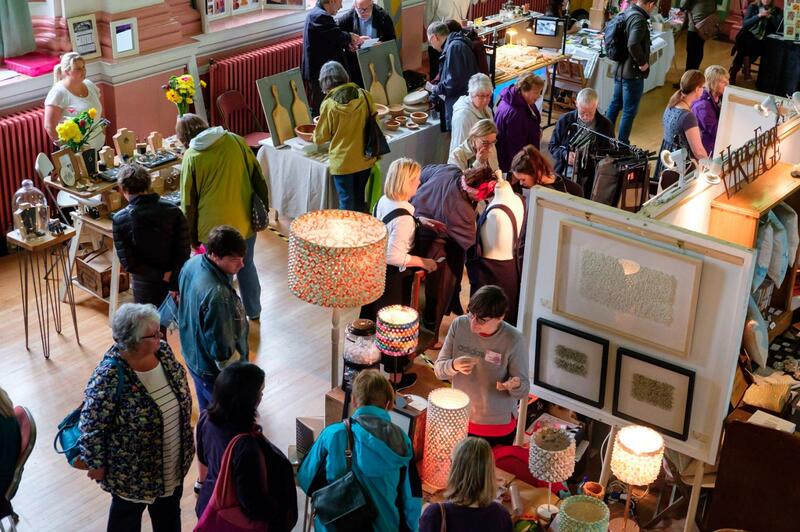 Our Makers Fairs have a specific focus on showcasing handmade and contemporary craft, therefore we are unable to accept applications of traditional Fine Art practices, such as painting and drawing. We will not accept or promote work constructed from assembled pieces, kit-based items or mass-produced reproductions of works in other media (giclee/digital prints) presented as 'limited edition'. Merchandising, including commercially printed cards, should form only a minor part of your display. The Fair is an opportunity for the public to meet the makers, therefore exhibitors must show only work created by themselves. We would like to offer the public work at a range of prices, but are keen to promote the appreciation and sale of higher-priced, signature items. What are the options and costs for Exhibiting Stands? •	Basic space: £85 - Approximate space of 8x4 ft, including a 6x2 ft table and up to 2 chairs if required. You are welcome to bring your own display boarding etc. to set up within this space. •	Small Display Space: £100 - Basic Space + display board measuring *approximately 4x4 ft (above table height), with flexible hanging system, no spotlights but access to power may be requested. •	Large Display Space: £115 - Basic Space + display boards measuring *approximately 8x4 ft (total space to display on board, above table height) with legs that make 6ft 6” height in total. Display boards include a flexible hanging system and 2 spotlights. •	Demonstration Space: a £20 reduction on the above prices. May include a small amount additional space (to be agreed). Please indicate which type of space you require under 'Stand Options'. Access to a power socket may be available on request. Fees will be requested upon successful application, which must be paid by 4th September 2018. No commission will be taken on sales. *Approximate measurements to be confirmed. There is a non-refundable administration fee of £5 required for all submissions. As a volunteer-led charitable organisation, this helps us to cover the administrational costs of carrying out a fair and unbiased selection process with an independant panel of industry professional judges. The administration fee should be paid before the closing date for entries, of Friday 27th July 2018. If the £5 fee is not paid by the closing date, your application will not be considered. 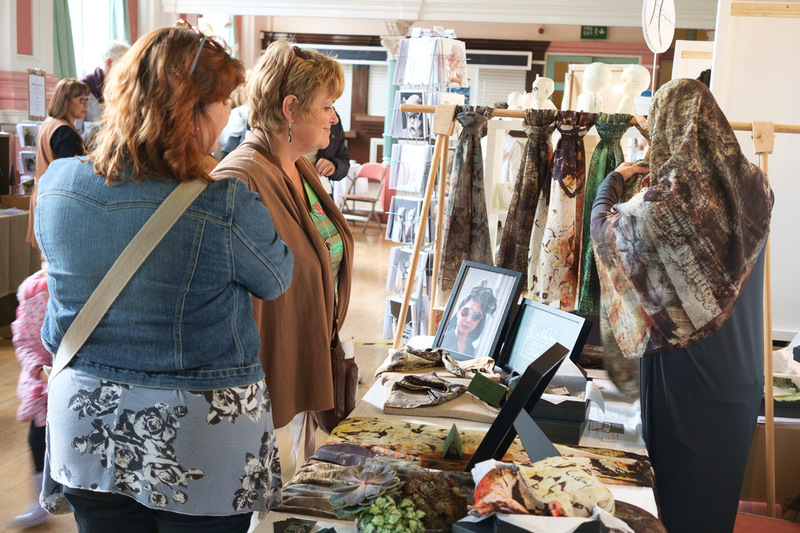 Please note that this £5 administrational fee does not guarantee you a place within the Makers Fair, all applications are subject to a selection process. Can I share a space with another artist? We will not be allocating half or part-stalls to separate applicants. We are happy to receive joint or group submissions from artists who wish to present their work together as a single display, where the work is related in subject matter, style, technique etc. or is the work of a studio group, and intended to be shown as a coherent joint exhibit. The joint application would be judged as a whole and members of the partnership or group would then share a single administration/stall fee. How many/what kind of images should I submit? You can attach up to 10 images as part of your application. To help us with selection, please upload a minimum of 4. It is vital to the selection process that the images you submit are of a good quality and give a true idea of the work you wish to exhibit. Please upload JPG images, no larger than 1MB. If you are selected, the images will be used initially as part of an online gallery, so we only need them to be web-size at this stage. Please note: You will need to upload each image separately to ensure that they successfully attach to your application, please check your completed application to make sure all images appear. I would like to offer a demonstration. can you give me more details? We are very keen to have interesting and engaging demonstrations available to the public. We will be able to offer a limited number of Demonstration Spaces with additional room for working*, and at a discounted rate. Demonstrations will take place at your stand. If you are applying to have a Demonstration Space, you'll need to be prepared to interact with the public and ideally to have an activity that people can try. We would prefer for any participatory demonstration to be free for visitors, but a small fee for materials is fine, if participants will be taking something away with them. Please submit a description of what you would like to offer within your application in the ‘Demonstrations’ section, and also state your stand preference (Standard, Small Display, or Large Display). *We regret that no additional room for working outside of the stand will be given for demonstrations taking place in a Large Display Space. When is the Fair open to the public? What facilities are there at the venue? The venue has free Wi-Fi and a good 3G signal. There will be a pop-up cafe inside the venue and exhibitors will receive vouchers for refreshments. There is an access lift to all floors of the building as well as disabled toilet facilities. How will the Fair and my work be publicised? Saltaire Inspired has good marketing plan in place, based on over 10 years experience. We will market and promote the Makers Fair through the production and distribution of high quality print, a vigorous social media campaign and by generating press releases and distributing them to appropriate media. Exhibiting artists will be featured in an online gallery on the Saltaire Inspired website and in a printed programme brochure. We’d like to ask all exhibitors to participate in the marketing and to promote their attendance at the event as much as possible. What is the decision making process for the applications? An independent committee of arts professionals will assess all applications and make the selection at a date to be agreed at the beginning of August. You will be informed as to whether your application was successful as early as possible after selection. The panel will be given the task of putting together a well-balanced show, considering new and returning exhibitors, emerging and established artists and an interesting mix of genres. It is important that the images you submit are representative of the quality of the work you wish to show. The panel will be able to research your website, but time is always tight and first impressions from the submitted images are crucial. The decision of the selection panel is final and unfortunately no discussion can be entered into once the selection has been made, though we will be happy to give general feedback. You will be contacted with further information by Sunday 19th August 2018 if you have been selected. All artists who have submitted work will be contacted even if unsuccessful on this occasion. If your application is successful, you must be able to commit to the full duration of the Fair, and will be asked to agree to our terms of participation. 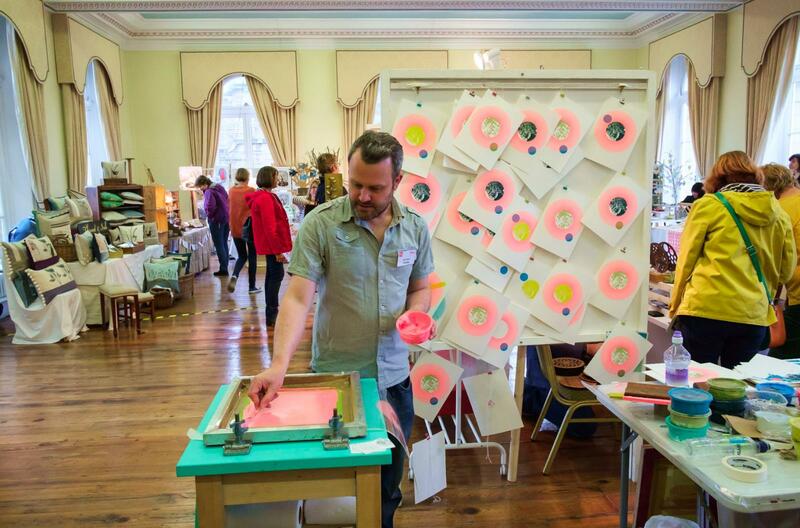 Payment of the pitch fee must be paid by the deadline date of Friday 14th September in order to secure your place within the Makers Fair.